I found a new little way for students to learn some DJ skills in a live interactive setting. A new application called turntable allows people to dj live, and share music and ideas about dj music and culture. Its an interesting idea and could be used for students just as I suggested the use of Second Life or Open Wonderland. It allows people to choose an avatar, and sticker for their laptop. They can dj for a limited amount of time, with other users or djs live. A nice way to listen to new music, and also a great way to expand integrated music sharing technologies. I could see creating a music class where students use this technology to play and explore different music genres, theories, components, techniques, etc. 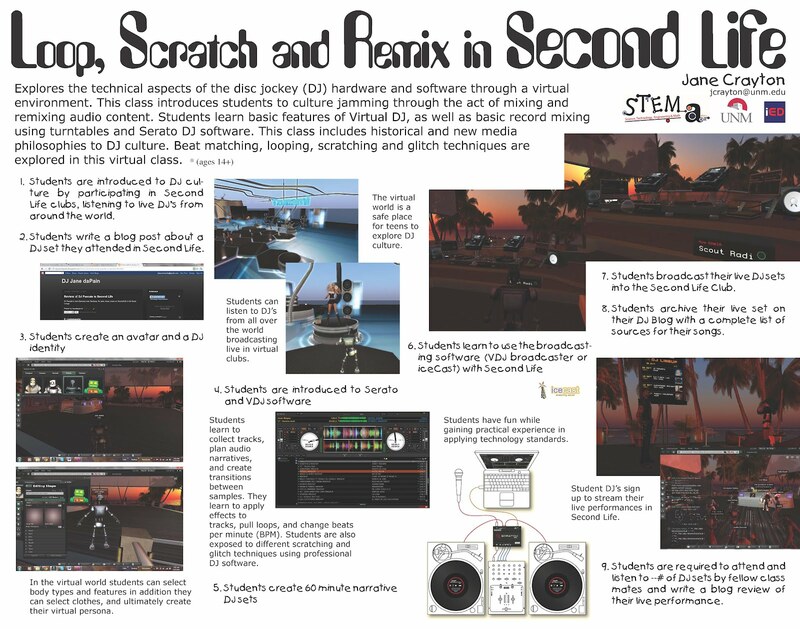 I can see how parts of this application could be used in the course, however students would not learn to build or navigate in the virtual world using the turntable software like they do in Second Life or Open Wonderland. Additionally, ultimately there is greater opportunity for learning STEM subject through the integration of several different hardware and software integrations using Second Life or Open Wonderland, where the Turntable application is simple and therefore not as much control and diversity therefore limited learning, however still interesting and useful, and most likely very interesting to the target student groups.